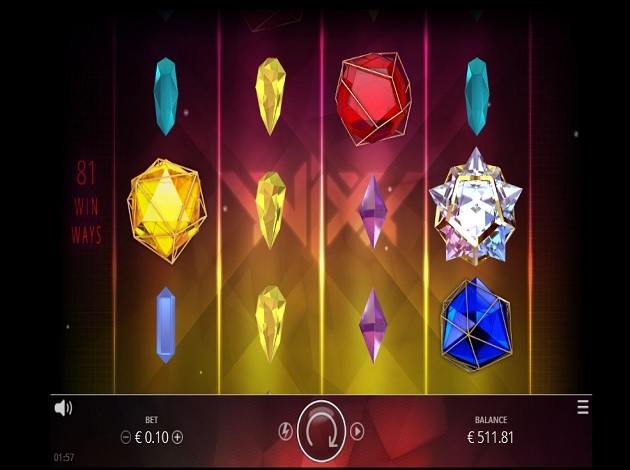 Diamond Crystals, great graphics and multiple opportunities to win – there’s really No Limit to the fun to be had in Wixx, this video slot by game provider Nolimit City! Wixx does what it says on the tin – it’s a highly volatile video slot with four reels by 3 rows, and all of 81 paylines (or “Win Ways”) which for an HTML5 slot is quite a great thing. Bet from as little as € 0.1 up to a maximum of € 50, and with an RTP of 96.61% you’re bound to reel in some decent wins from those 81 paylines! Here’s what Wixx offers in terms of bonus features. Rubies, Topazes and Sapphires offer their own respin each. Land 4 Ruby crystals on the reels and you will earn a Respin where the Rubies are transformed into stacked Wilds on the reels. Four Yellow Topaz Crystals will instead trigger a Respin where all the crystals are transformed into boosted symbols – all payouts on the crystals will be subjected to a 5x multiplier. The Topaz will appear as a stacked symbol for a multiplied win on all the yellow Topaz symbols. The blue Sapphire crystals award a respin where the Sapphire appears as a stacked symbol – reel 4 will only hold sapphires and all wins over Blue Sapphires will be multiplied. Besides a Respin for each special symbol, there is also a combined Respin for the Ruby and Topaz, where four of each symbol will award the Super Booster Respin. All Rubies, Topazes and Wilds become stacked and all Ruby crystals are transformed into wilds. Wins scored through crystals will be multiplied by 5x. The Ruby and Sapphire Super Booster is also triggered with 4 hits and all Ruby symbols are transformed into Wilds, while the Sapphire and the Wilds appear as stacked symbols, with the fourth reel holding only Wild symbols. Finally, the Topaz and Sapphire Super Booster offers a 5x Multiplier prize on all Crystal wins, with the Sapphire, Topaz and Wilds appearing as stacked symbols. Four shards and four crystals on the paytable: the former pay lower amounts, with the yellow shard reaching a maximum of 1x your total bet amount for four hits. The Sapphire pays 2.5x for four of a kind, the Topaz 3.5x and the Ruby 5.0x. You need at least three identical symbols to form a winning payline. The Wild symbol does not offer payouts on its own but substitutes for any other symbol on the reels. Wixx is a highly colourful video slot, with the reels set against a black background onto which yellow, red, and purple rays appear as if they were projected. While Nolimit City has kept it simple by using only crystals as symbols, the design is still of a very high standard indeed with a lot of attention given to the detail. Moreover, the game flows smoothly on the desktop, mobile or tablet. You can easily set the betting amount from the control panel below the reels, as well as check the balances, set auto spin and access the paytable. Wixx is a great offering from Nolimit City – the great game graphics are coupled with a host of Bonus Respins which can award you great prizes. Wixx has a relatively high RTP of 96.61% and you’ll be looking straight at the possibility of scoring great wins! Best of luck with Wixx by Nolimit City! Nolimit City is a company that has its roots in more than 10 years of hands-on work with some of the most successful and great software providers and operators. It is a company that thrives on great relationships and is working on delivering more direct integrations thanks to an array of innovative games and their trademark, RGS platform. Today the company offers 7 games, and the ones available at Videoslots.com are titles such as Oktoberfest, Creepy Carnival, and the Kitchen Drama series. The big mission for Nolimit City is to make gambling software to the next level by offering its clients and players a fast, reliable, and flexible team that all cooperate with a set of solid operators. And something that makes Nolimit City special and different from the rest, is that they are not dependent on any other third-party systems. Everything is controlled in-house, using its own comprehensive and portable system platform for mobile, tablet and desktop devices. But this also means that it is also possible to deliver special features and smooth and customizable marketing campaign tools that are made specifically for each operator’s needs – to make it suit them all flawlessly. 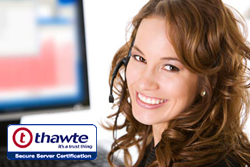 The team behind all of this are all experienced professionals from the industry, all experts in their own areas. Something important in this company is to strive, and by using the skills of the team, blending them all together – the outcome will surely be a high-quality product. The Nolimit City HQ is located in Stockholm, Sweden.